Keeping in mind the safety of the children, we design premium quality Playground Seesaw. 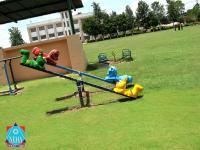 Our range of Playground Seesaw includes Two-Seater Seesaw and Four-Seater Seesaw. 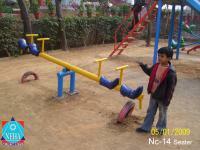 Playground Seesaw offered by us is perfect for the physical growth and enjoyment of the children. 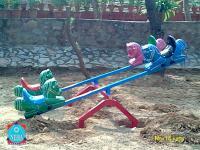 Today, we stand among the key Playground Seesaw Manufacturers and Horse See Saw Suppliers, based in India.